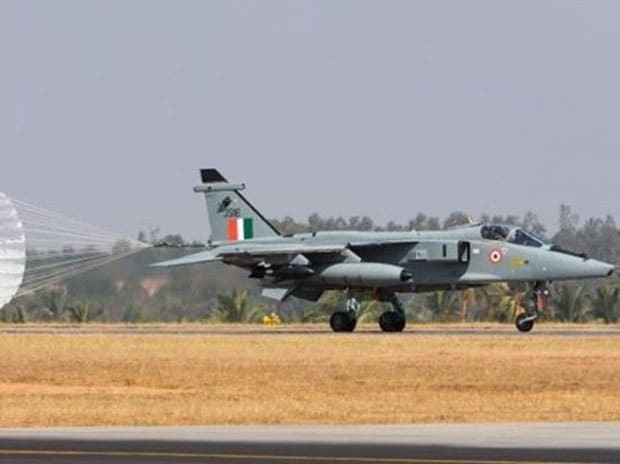 The Indian Air Force (IAF) has accorded initial operational clearance (IOC) to the upgraded Jaguar after its deputy chief flew the attack aircraft here, the state-run Hindustan Aeronautics Ltd (HAL) said on Wednesday. "Deputy Chief of Air Staff Air Marshal R.K.S. Bhadauria gave the IOC to the upgraded Jaguar Darin-III twin-seat aircraft after flying it here recently," said the defence behemoth in a statement. As part of the IAF's modernisation plan, HAL is upgrading about 120 of the IAF's four-decade-old Anglo-French-built fighters, which can carry nuclear weapons like the French Mirage 2000s. "The Jaguar upgrade is one of the best for data handling and overall capabilities," said Bhadauria after flying it with test pilot Wing Commander V. Prabhakaran as co-pilot from HAL's airport in the city's eastern suburb. The upgradation includes Jaguar's cockpit being fitted with autopilots, next generation avionics and lethal armaments at an estimated cost of Rs 3,000 crore to enhance its operational life till 2030. The Jaguar fleet of the IAF is based at the Ambala air force station in the northwest state of Punjab. HAL's mission and combat system research and design centre developed the system requirement capture, software, hardware, electrical and mechanical equipment to modify the vintage fighter and extend its life. "The Jaguar is equipped with world-class avionics system and has open system architecture mission computer, engine and flight instrument system, fire control radar inertia, navigation system with GPS and geodetic height correction," said HAL Chairman and Managing Director T. Suvarna Raju in the statement. Besides HAL, certification agencies, trial team of the Aircraft Systems Testing Establishment (ASTE) and other agencies were involved in upgrading the Jaguar to Darin-III from Darin-1 standard. The upgrade includes digital video recording system, flight data recorder, smart multi-function display, radio altimeter with 20,000 feet range and friend or foe identification facility.